Hello all! For those of you who are just checking in for the first time, welcome and thank you for stopping by. You can read my week 1 and week 2 blogs to get caught up. This week didn’t see as much progress as I had hoped, so I am officially calling week 3, “Panic Week”. 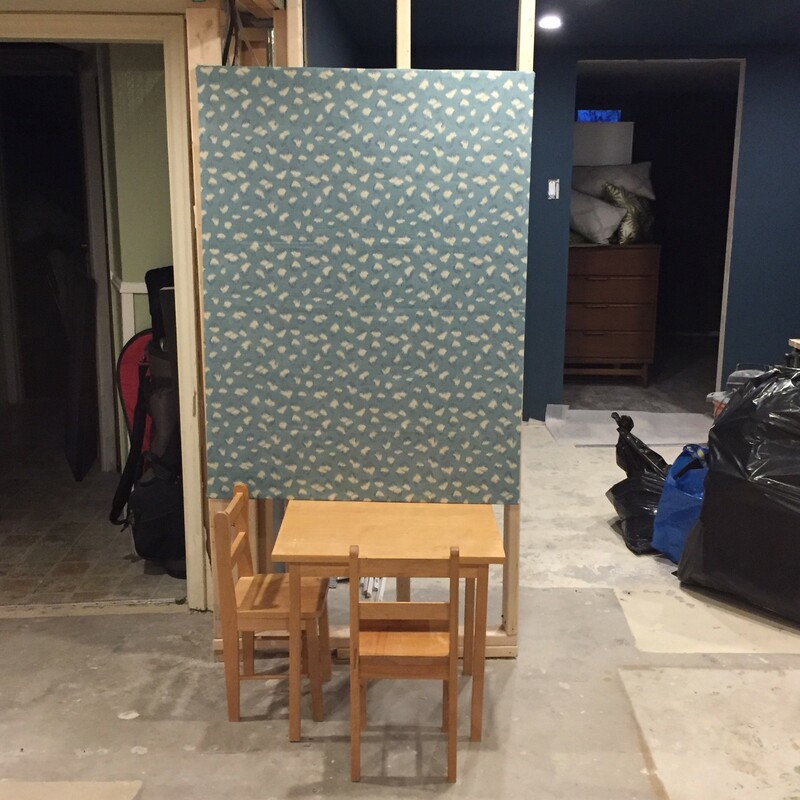 This is my first time participating in the One Room Challenge and the worry is definitely starting to set in that we won’t make it to completion in three weeks time. Hopefully I am not the only one feeling this way…and everything always comes together somehow, right? Drywall isn’t up yet…flooring needs to be installed…trim work completed…paint on the walls…installation of cabinetry etc. etc. etc. AHHHHH! But, I did finalize cabinetry designs this week and have the flooring ready to go once drywall is complete. 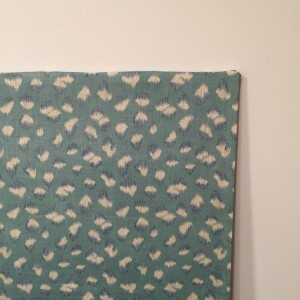 I have the wallpaper, wall sconce, teepee, prints, bench seat and storage ottoman being stored and ready for install. I have a few more purchases to make (cabinets, frames, book ledges, toss cushions), but it is mostly the construction side of things that seems to drag. 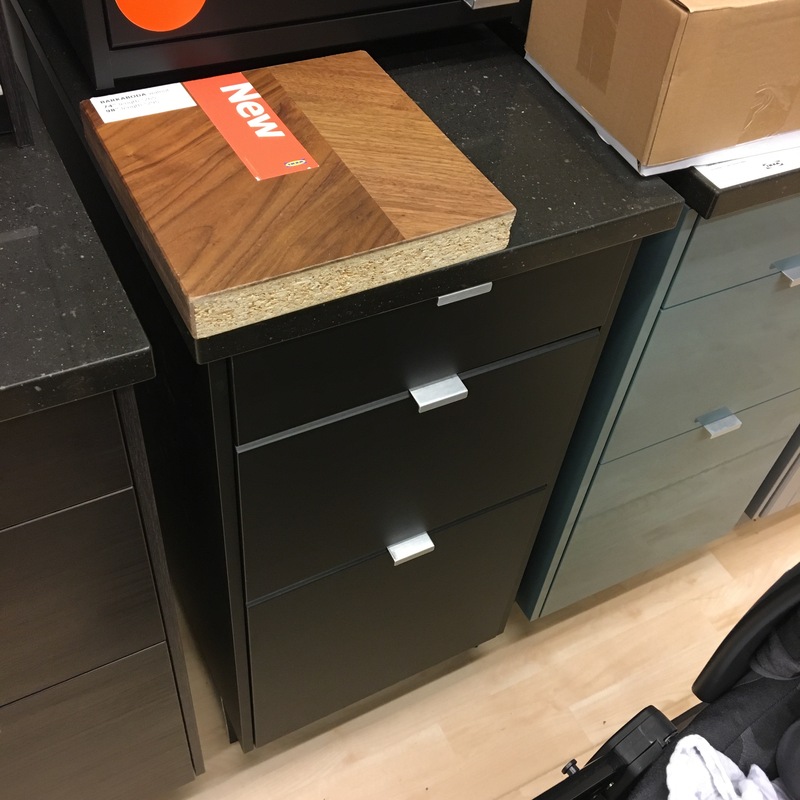 I am purchasing the cabinetry for the built-in bench and bar from Ikea and landed on the slab doors in Anthracite with a walnut countertop. Last week I shared my vision boards, but this week I tried to do a quick mock-up of the space. 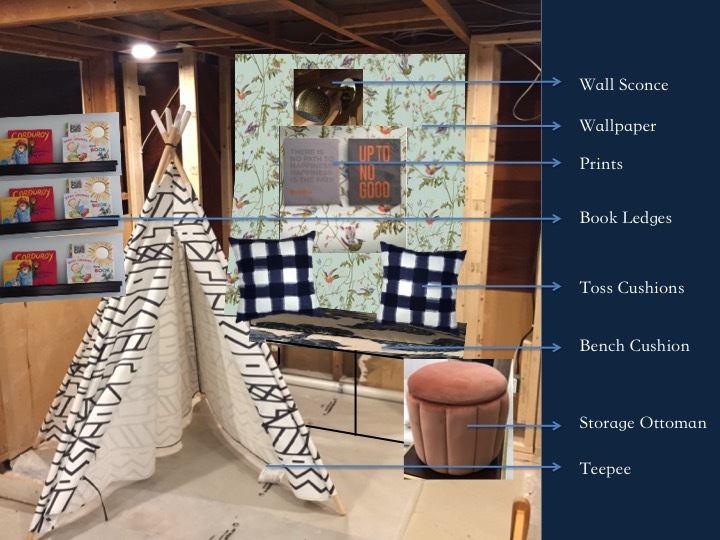 I moved the teepee down to the room so I could start to see what I was working with and added a few layers to the image for further visualization. 1. 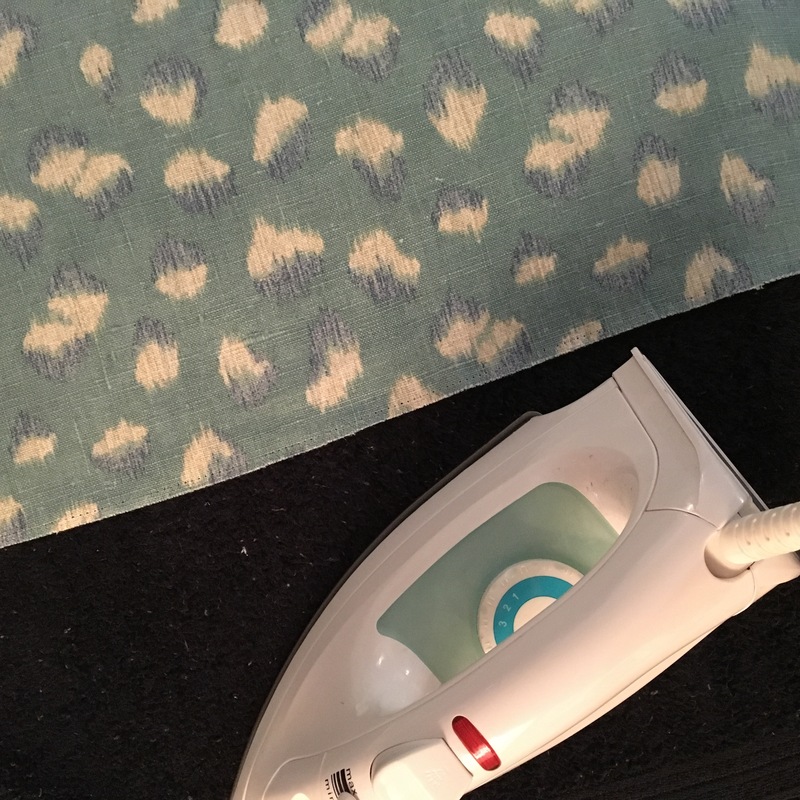 Iron the fabric so that it doesn’t have any major creases in it…even with the fabric stretched over the board the wrinkles will show. 2. 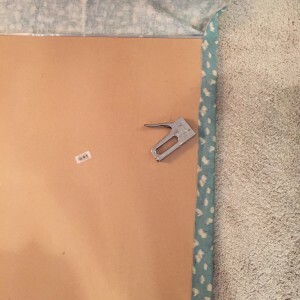 Lay the fabric on the floor pattern side down and place the cork board on top with face down. If the fabric has a pattern, you have to make sure you are square with the pattern before you start stapling! Staple the top edge down to start. Then I went to the opposite end and pulled it as tight as I could and stapled that end down. 3. 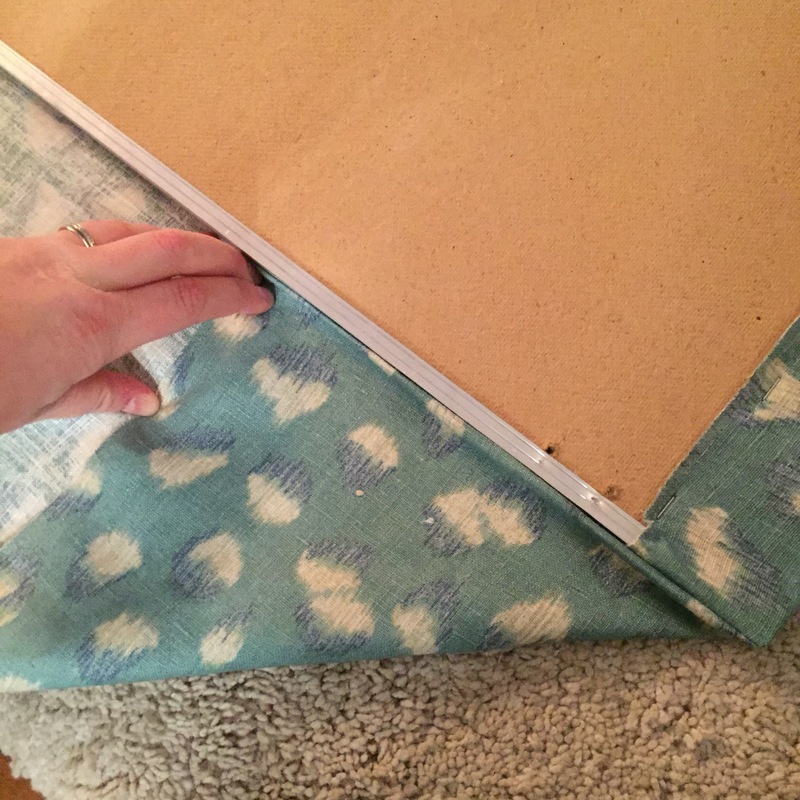 To do the sides, I wrapped the cork board like you would wrap a present…I folded the corners down and over and pulled as tight as I could before stapling. 4. Once all four sides are stapled, you are good to go. You may need to trim some excess fabric to tidy it up on the back. My cork board didn’t have anything on the back for mounting it on a wall. 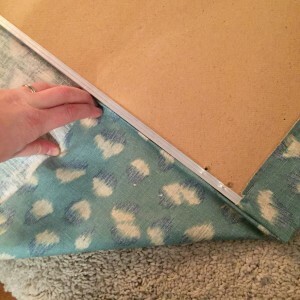 I plan to use 3M strips on the wall and the back of the cork board, which also gives me the flexibility to move it when I am ready for a change without damaging the wall or board. 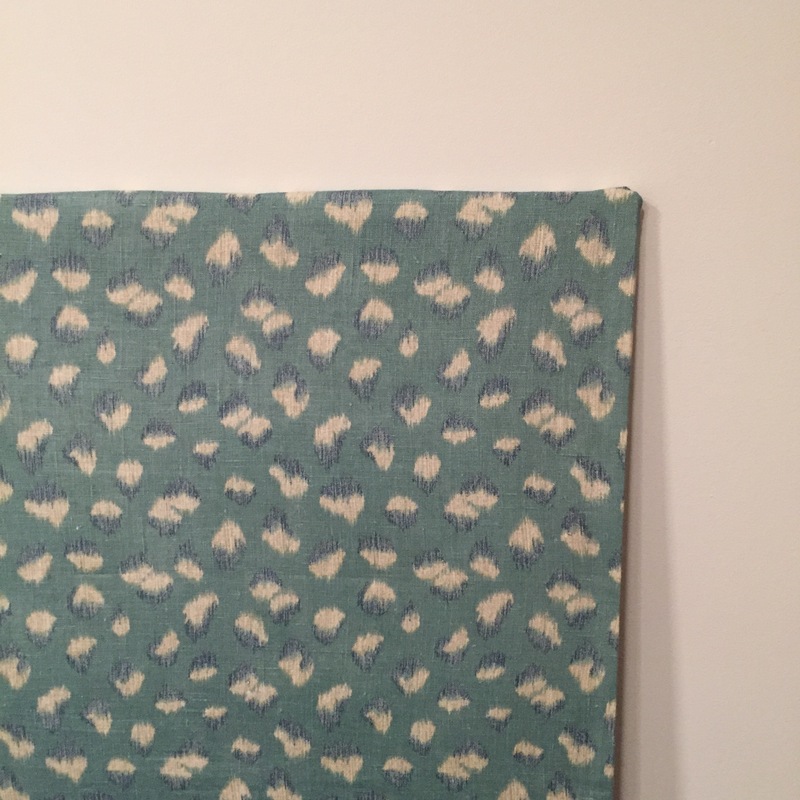 This can be used to hang kiddo artwork on, for notes or a felt board for imaginative play, but what I love most is that it can stand alone as artwork. 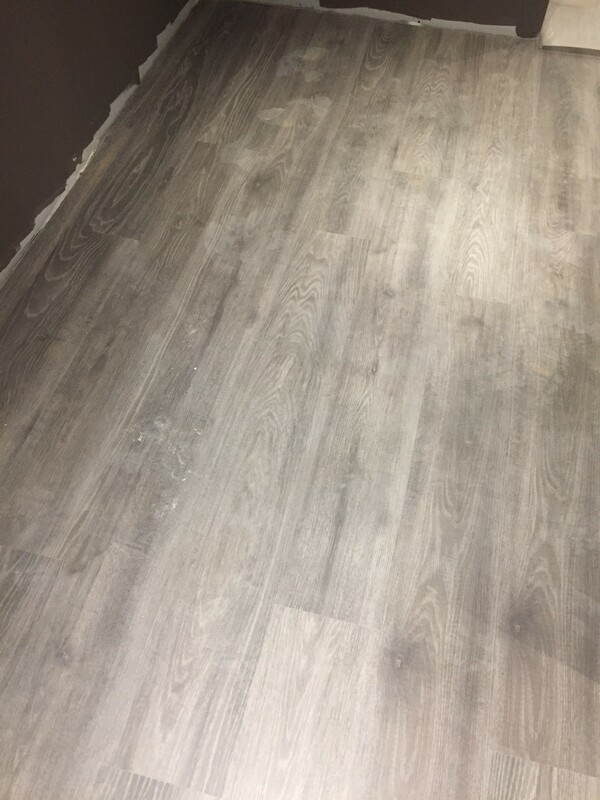 The flooring we selected for the basement is a laminate plank, which is both practical and budget friendly for the basement. I chose a wood-look but in a taupe finish rather than a traditional wood tone. 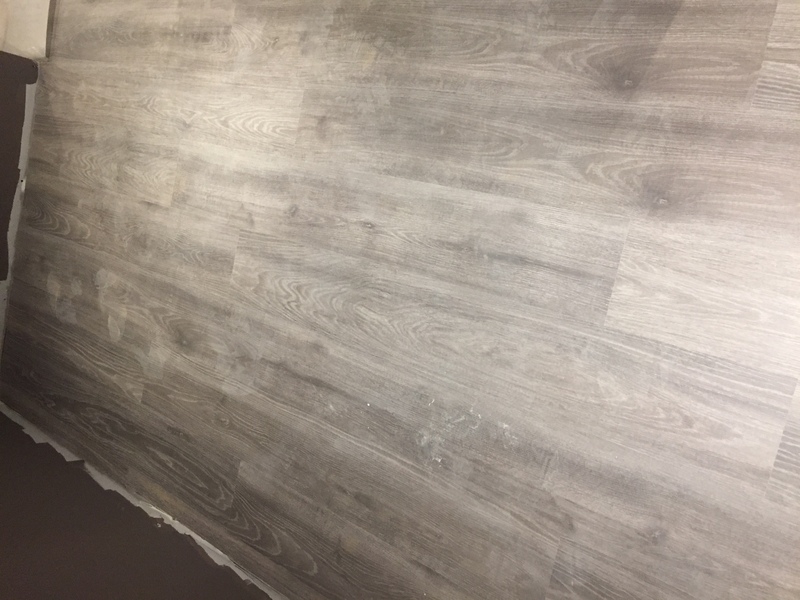 We plan to re-do our hardwood on the main floor down the line and since I don’t know what wood tone we will go with up there, I wanted this to be completely different so that it doesn’t look like we attempted to match and failed later on. 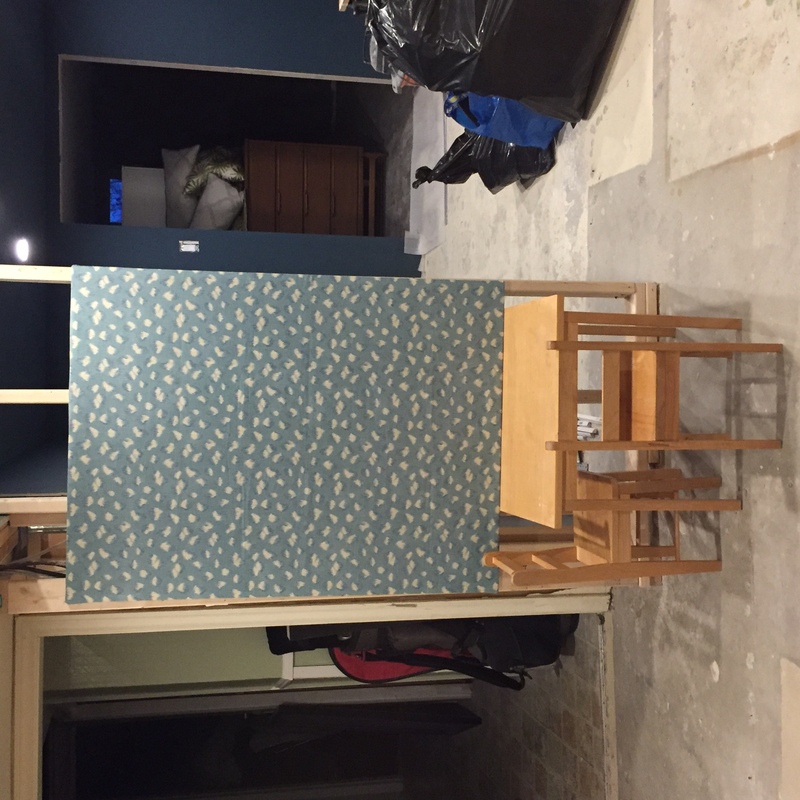 We started installing it in the guest bedroom, but are now waiting on the remainder of the drywall to be completed in the rest of the basement. Well, that’s it for this week. Hopefully I have more to share next week and this thing starts to come together in time for the week 6 reveal! Stay tuned…and don’t forget to check out the 20 featured designers’ spaces, as well as the other linking participants! And follow me on Instagram for more updates throughout the week. Ta ta for now!